We‘re all familiar with the stereotype of the ‘Japanese salaryman’ — conservative, conformist and risk-averse. In many ways, this image of the Japanese business environment is the complete opposite of the disruption and flexibility that startups represent. However, as I recently experienced, there is a growing entrepreneurial movement that is set to reshape our views of Japanese industry. I’ve been fortunate to visit Japan four times so far. The first three trips were well spent exploring the non-stop Tokyo nightlife, temples in Kyoto, overly aggressive deer in Nara and the general foodie paradise that is Japan (shoutout to $10 Michelin Star ramen). However, my most recent trip had a completely different purpose. 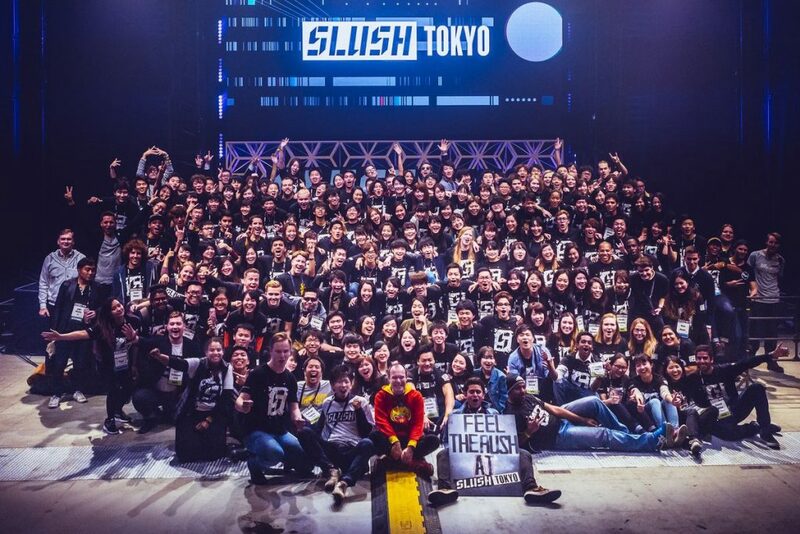 As a finalist in the first cohort of the Innovation Dojo program (aimed at guiding students to develop global startups with an Australian-Japanese focus), I was sent to participate in Slush Tokyo 2017— an entrepreneurship conference exhibiting the latest startups in Japan. 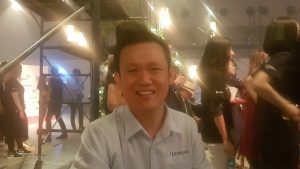 So what were the takeaways from attending an event with 5,000 attendees, 500 startups and 200 investors? The trend towards founding and promoting globally focused startups (with increasing support from programs such as Innovation Dojo). 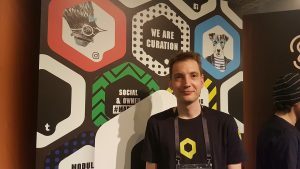 Over the two day event, I shuttled between demo stalls speaking with a number of co-founders and startup representatives. The insights and experiences in the Japanese business environment from four interviewees are extracted (and paraphrased) below. Qurate is an end-to-end content marketing platform for social and owned content. It aims to streamline the content marketing process for marketing professionals in corporations. 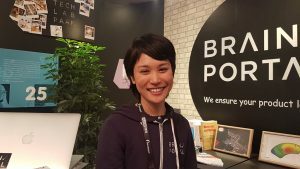 Q: What do you think about the current state of the Japanese startup scene? Although Japan is regarded to ‘lag’ behind other countries in its startup economy, the elements required for startups to build a team, scale and succeed are all in place. There are sources of funding (albeit mostly through corporations in Japan), a well-educated workforce and increasing support from the government. However, one issue for globally-focused and tech startups such as Qurate is that Japan does not yet have the linguistic skills to compete internationally against native English-speakers. Q: What would be one change you would like to see in the Japanese startup scene? Japan should make itself more accessible and advertise itself as a destination for international talent. The process for recruiting an internationally-sourced team based in Japan is not as simple compared to other startup-focused economies such as London or the US. Brain Portal specialises in co-ordinating rapid prototyping and manufacturing for hardware startups. With a hardware network in Japan, China, South East Asia, the US and Europe, Brain Portal reduces time-to-market, lowers manufacturing costs and ensures quality and reliability for new and growing businesses. Q: How did you decide to become an entrepreneur? Hikari worked as an HR consultant in the manufacturing industry. Many clients attempted to co-ordinate manufacturing and design for prototypes in-house and there was often miscommunication with the manufacturer. After experiencing these difficulties, Hikari launched Brain Portal in December 2015 to improve communication and create a network between hardware startups and manufacturers. An increase in funding from investors. The Japanese startup ecosystem is relatively small compared to other countries such as the US, Hong Kong and Singapore. There are less angel investors, accelerators and financiers which restricts growth in early-stage startups. In Japan, the main source of finance is to partner and collaborate with large corporations. In Brain Portal’s case, it is collaborating with the multinational ‘Recruit Group’. Metro Residences is the ‘Airbnb for business travellers’. Having started in Singapore and recently closed a financing round, Metro Residences is actively expanding to the Japanese market. Q: Why is Metro Residences expanding to Japan instead of other countries? First, Metro Residences recently received funding from Rakutan which offers an established network in Japan. Second, the business accommodation market for Japan is not as mature as Singapore, offering opportunities for Metro Residences to rapidly expand by offering new types of accommodation. Finally, the upcoming 2020 Olympics in Japan will greatly boost demand in business accommodation over the next few years. The Japanese startup scene is in its infancy stage compared to Singapore. Aside from difficulties in obtaining financing, there’s more challenges in recruiting experienced executives from large corporations compared to other countries. Although more funding via the government or venture capital would be important, the necessary change would be the promotion of entrepreneurship in the Japanese population from an earlier age, either through education or incubators. Fanline is a platform that allows entertainers to fully customise their own personal app while linking all their online content to one location so that fans can access everything in one area. There is a lack of capital in Japan. Finance is usually only offered by large companies and it is unusual to go to friends or family for a loan. Also, the Japanese education system and general approach to business is directed towards large stable corporations so there has been some difficulty in recruiting talent in startups. It would be better if Japan was more open towards foreigners from a recruiting perspective. Relatively speaking, Japan is a rather closed society and could benefit from a change in its approach to immigration. The big winner was DOT Incorporation — taking home the main prize with its new range of braille smart watches and tablets for the visually impaired and blind being distributed worldwide. “Passion about its product” and “the determination to change the world” defined DOT’s winning pitch, and (without trying to say that “everybody’s a winner”) was a common theme demonstrated by all the participants in the competition. From first year university students to speakers with considerably more life experience, it’s clear that people of all ages from a variety of backgrounds were actively working to build Japan’s future businesses. 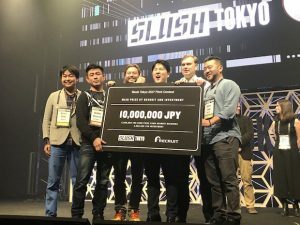 An important trend that was discussed by the keynote speakers, the interviewed startups and investors at the Slush Tokyo was the need for startups to adopt an international focus. With technology making the world more accessible, there is an unprecedented opportunity for entrepreneurs with the ability to connect with their target market on a global scale. Programs such as Innovation Dojo are at the forefront of this entrepreneurship paradigm and have helped myself and many others in better understanding how modern startups succeed.  If you have an interest in working for yourself, exploring new career paths or becoming the next entrepreneurial success story, then I highly recommend participating in the next Innovation Dojo intake. NB: Innovation Dojo’s first cohort has resulted in two startups that are currently working to create value in the Japanese market. V-KAIWA is creating a new Virtual Reality (VR) English learning platform for Asian people with a particular focus on conversation. ChewMongo is working on a database of translated and digitised menus for foreigners to enjoy authentic dining experiences that are usually off-limits for the average traveller. I’ve worked alongside the founders and I’m excited to see their ongoing progress in creating these global startups. This articles wrote by Jason Feng. What’s it like working with innovation for 23 years in Japan?! Our 1st Innovation Dojo Mentor interview! Mark Foley is an Innovation Dojo mentor working with NanoGlobe as a Senior Consultant in their Tokyo offices. We were lucky enough to catch up with Mark and ask him what it is REALLY like and get some special insights from his wealth of experience. Check out what he had to say below.